Small gas engines are vastly used as independent power sources in a wide range of machinery, including concrete mixers, generators, and lawnmowers. Their low-displacement application finds usage in a variety of motor automobiles such as go-karts, all-terrain vehicles (ATVs), scooters, and motorcycles. Small gas engines could have a smaller output apart from their physical dimensions compared to relatively larger automobile engines. Chainsaws, string trimmers, and other handheld machinery are one of the smallest types. The growth of the worldwide small gas engines market is prognosticated to be magnified by the surging demand for outdoor power equipment, which is propelling at a noteworthy tempo due to the rise in commercial and residential construction activities. Owing to nominal maintenance costs and reduced product costs, outdoor power equipment are expected to be frequently rented and gain a lot of attention by homeowners and contractors. Since equipment sales are chiefly controlled by the adoption of landscaping services in a majority of markets, lawnmowers are anticipated to take hold of a significant demand. Much of this demand is expected to be accredited to the commercial and residential construction market. The price war that has bound the hands of manufacturers to sell products at a premium rate is prophesied to restrict the growth of the global small gas engines market. The availability of low-quality and low-priced Chinese products is deemed to have forwarded the trend of buying cheap equipment in the market. 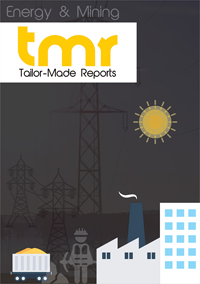 The demand for outdoor power equipment is foreseen to influence the small gas engines market for gardening among other end uses such as construction and industrial. Snow removal, lawn care, and lawn renovation are some of the specialty services offered by landscaping companies. Thus, with the increasing presence of landscaping firms due to the soaring demand in residential and commercial projects, the market growth could be significantly boosted. Following its newfound interest in manufacturing waste heat recovery systems smaller the size of their traditional heat recovery boilers, Alfa Laval has introduced Aalborg Micro which uses waste heat to provide thermal power between 250 kW and 5,000 kW. The use of smaller reciprocating engines and gas turbines has become altogether more important if a company is looking to produce power in an environment-friendly and efficient fashion. According to the company, Aalborg Micro can be installed outdoors or indoors and vertically or horizontally. It is capable of functioning with the use of heavy fuel oil (HFO), marine diesel oil (MDO), and liquefied natural gas (LNG). The international small gas engines market is predicted to witness a healthy growth in the U.S. throughout the forecast period due to the rising rental activities on the part of outdoor power equipment and towering investments in the construction sector. In this regard, the researchers envisage North America to be a faster growing as well as larger regional market. Other markets such as Asia Pacific and Europe could be driven by the elevating demand in the construction sector. Until 2016, agreements and contracts were the most recurrently adopted strategies by key players in the world small gas engines market, accounting for an estimate 57.0% of all developments whereas a 24.0% was attributed to new product launches. Kawasaki Heavy Industries, Yamaha Motor Corp., Honda Motor Co. Ltd., Kohler Co., and Briggs & Stratton Corporation are some of the dominating companies in the market.